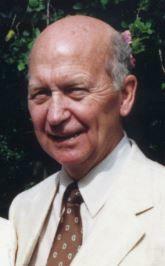 James R. Ritzema, age 89 of Holland, passed away September 2 at Freedom Village, with family by his side. James was born in Grand Rapids, and married Peggy Riefel in 1952. Later they moved to Birmingham, MI so Jim could pursue a career with GM. While in Birmingham, the two had a son Rich. After retirement, Jim and Peggy moved to Holland where he enjoyed woodworking, reading magazines, and was a member of Evergreen Commons. Jim is preceded in death by his brother, Raymond Ritzema. He is survived by his loving wife Peggy of 65 years; and son, Rich (Tina) Ritzema. A celebration of life will be held on Thursday from 7-9pm at Dykstra Funeral Home – Northwood Chapel, 295 Douglas Avenue in Holland.